Feeling the need to recharge myself and go within, I decided to head to Guatemala. It’s a place that connects me to my family of origin (my mother is from Guatemala), to the indigenous Mayan people and to the Spanish language. I chose Lake Atitlan and made my decision to try Yoga Forest for the first time. After a quick stop in Guatemala City, I made my way to the colonial city of Antigua. Antigua’s churches remind me of wonderfully decorated wedding cakes, with white details on a pastel yellow background. Wandering on the cobblestone streets I passed colorful, colonial churches, crumbling ruins, and terra cotta roofs with bougainvillea trailing down the sides of walls. My first day and night were spent at the luxurious, intimate boutique Hotel Posada del Angel in Antigua on a quiet cobblestone street, where every detail has been curated by local connoisseurs who want to share Antigua’s Maya and Spanish heritages. Even the little soaps are designed by a local alchemist who created a signature scent called “Semana Santa” from frankincense, orange, myrrh, clove and cinnamon. Raw honey comes from San Cristobal el Alto, coconut oil from Belize, palm oil from Guatemala, and cocoa butter from Guatemala. This woman was selling the typical Guatemalan dolls that look like the ones my mother had as a little girl so I bought one from her. Her face is wonderful. Three brothers – Antigua, Guatemala. Man in Antigua, Guatemala speaking of his beliefs in a higher power. I headed out on the Carretera Panamericana also known as Centroamérica 1 – the Panamerican Highwayto Lake Atitlan. A three hour drive on a collective brought me to Lake Panachajel, where I hopped on a boat (lancha) to San Marcos La Laguna, my peaceful, spiritual spot to escape the world. Local Mayan woman – San Marcos La Laguna – Lake Atitlan, Guatemala. Two sisters – San Marcos La Laguna – Lake Atitlan, Guatemala. Lago de Atitlan is one of the most beautiful places I have ever visited. Nestled between three volcanos that loom over the entire landscape, (Volcán Yolimán, Volcán Atitlean and Volcán San Pedro) at an altitude of 5,125 feet, it’s the deepest lake in Central America. As far as I can see are the deep blue waters that inspired Aldous Huxley to write. Viewing the lake in silence is a true recharge while being surrounded by jogate and mango trees. A young boy came running up to me, asking if he could carry my bags and I let him because I wanted to give him work. As he lugged my bags to Circles Café, I began to see the familiar signs in San Marcos that I love. Mayan women selling basketfuls of avocados, children running up and down the main path, the smell of tortillas cooking as I passed shady coffee plants near the lakeshore. It’s a twenty-minute hike up a steep hill to get to Yoga Forest and it’s worth it. If you are looking to disconnect, here is the place. No wi-fi without a twenty- minute hike back to the pueblo, no electricity in your room and a compost toilet. Henry Ward Beecher once said, “The first hour is the rudder of the day.” By committing not to turn on technology first thing in the morning , I received so many benefits including going inside for all my answers. It required discipline to power off but the benefits are a much fuller life. At night I lay in bed listening to the sound of the crickets, birds and animals singing to their heart’s content. Solitude helps us ground to the world around us. Stillness and quiet is required to evaluate our lives and reflect on the messages our intuition sends us. Off the grid, three local woman lovingly prepared meals with fresh fruits and vegetables, fresh blue tortillas, oatmeal, and pancakes. Even the coconut to sprinkle on our food was freshly grated. These women embody my belief of “in a world where you can be anything, be kind.” Even when it’s not the easiest response, it’s always the answer. Magda at The Yoga Forest – San Marcos La Laguna, Guatemala. Magda cooking vegetables – The Yoga Forest – San Marcos La Laguna, Guatemala. Magda cooking tortillas at The Yoga Forest – San Marcos La Laguna, Guatemala. The view from the top of the mountain of the volcanoes is the best scenery in all of Central America. Jungle foliage and trees were medicine to my heart. The highland Indians’ colorful clothes that they make themselves, their traditional way of life of farming, their local markets, and the art they create, are all like stepping back in time before all our modern ways. Add in the Mayan culture and it’s a place that comforts and speaks to my soul. Shooting nearly my entire visit in film made the photos even more magical for me. One terribly upsetting factor in San Marcos — and all of Central America for that matter — is all the stray dogs running around. One morning I saw a dog with a bloodied ear that had flies covering the wound. I found the only pet food store in San Marcos and waited an hour and a half for a mobile vet that was due to arrive. 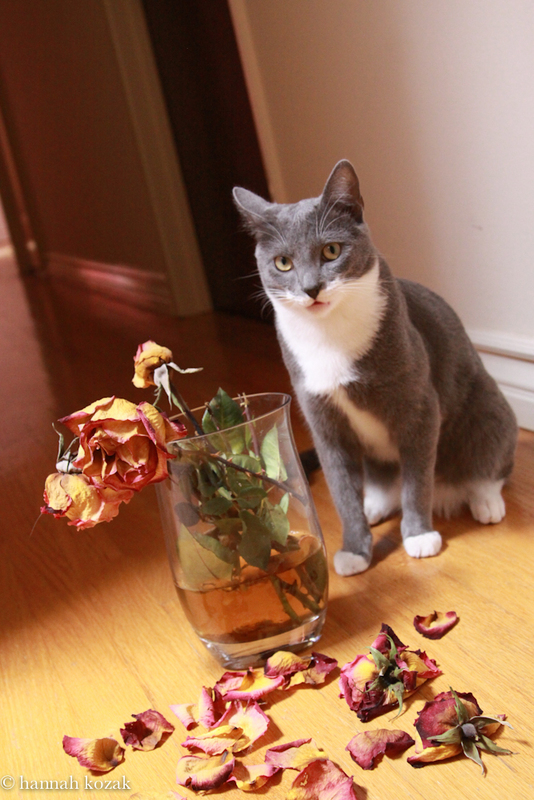 He never came but I exchanged contact with the girl who worked at the pet store. When I returned home I contacted her and a great big smile was on my face when she told me that not only had she found the owner of the dog but also that treatment to heal its ear had started. Micaela Pichilla – the girl who helped me find the owner of the dog in San Marcos. Micaela Pichilla at the pet food store she works at in San Marcos La Laguna. There is so much to do once at the lake. Exploring other villages by boat, studying Spanish and of course, doing yoga and meditation. Not to be missed is Las Pirámides meditation center on the path heading inland from Posada Schumann, where you can have a massage, yoga in the morning and early evening, and come to study metaphysical and meditation courses. Lake Atitlan is not a place just to travel to, it’s a place to come and live for an extended period. Moving to Israel when I was twenty years old I developed a serious case of wanderlust and I have never stopped exploring. I travel in order to have no regrets at the end of my days, because I will have explored places out of my comfort zone, traveled alone at times and had adventures. Not everyone has traveled to a place like Lake Atitlan. It’s a promise that you will never forget the beauty and sounds at the lake, and will return home with peacefulness from being surrounded by the beauty of not only the water but also the indigenous people and the warmth in their hearts. Girl playing near Lake Atitlan. 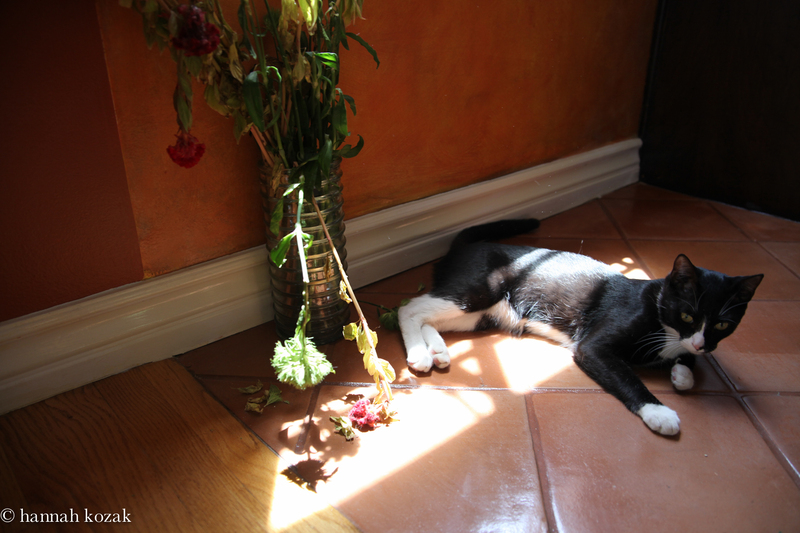 One of the yoga teachers adopted Mala and brought him back home to Berlin. 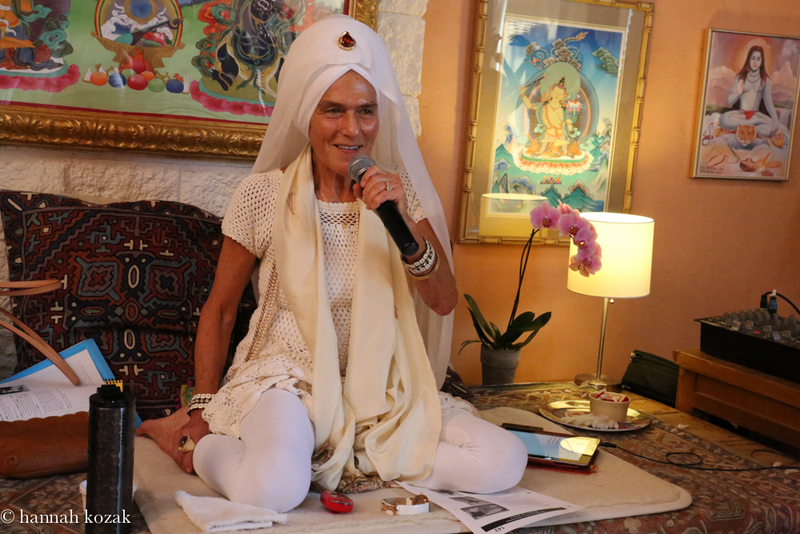 Given the spiritual name Gurmukh by Yogi Bhajan, master of Kundalini Yoga, her name means “one who helps thousands of people across the world ocean” and that she is exactly what she has done. Her name also translates to “face the guru” in Punjabi – which represents the practice of following the ways of the Guru instead of following your animal instincts and the basic desires of the mind. 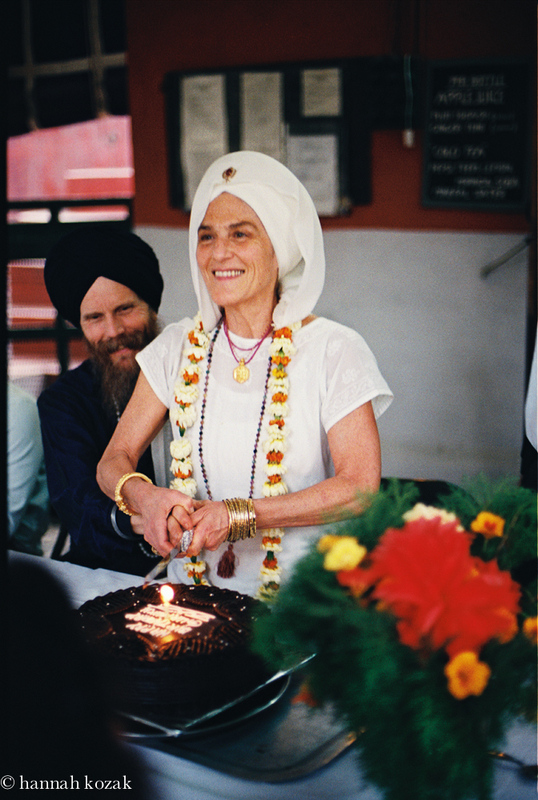 She understands what Yogi Bhajan used to teach us: that we have made deep promises between our soul and our self. Gurmukh is indeed carving her place into the memory of this planet earth and serve this promise. Her life’s teaching, is part of her destiny. She speaks from the voice of her soul, not the fractured, doubting personality that sabotages the intuitive mind. From her daily sadhana, or spiritual practice, she radiates light as she is forgiving and compassionate. So many people live in the land of duality: making someone wrong so they can be right. Rather she lives in the present, in the now, not in the past. Gurmukh doesn’t have a long list of grievances rather she has friends around the globe and she travels to India at least three times a year. In 2015 she will travel to Kumarakim and Kerala, India as well as Rishikesh, India, California, Puerto Morelos, Mexico, New York, Switzerland, Berlin, Germany, UK, Koln, Moscow, Colorado, NY, Sweden, South Africa, Canada and Massachusetts; so she can spread the teachings of Kundalini Yoga. 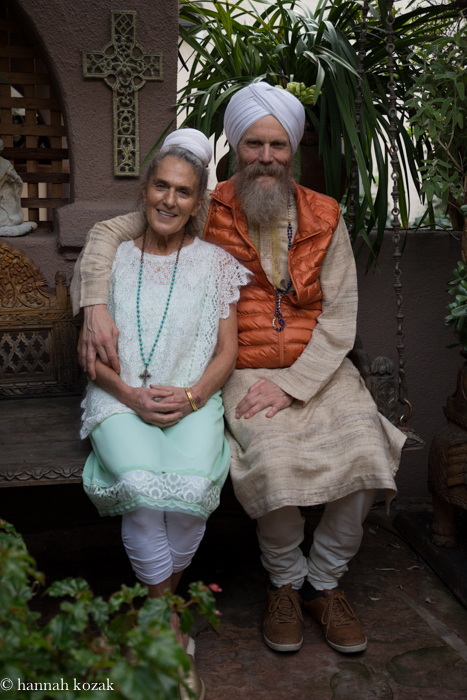 She is the co-founder and director of Golden Bridge Yoga, the premiere center for the study and practice of Kundalini Yoga and meditation in Santa Monica, California and also in New York City. 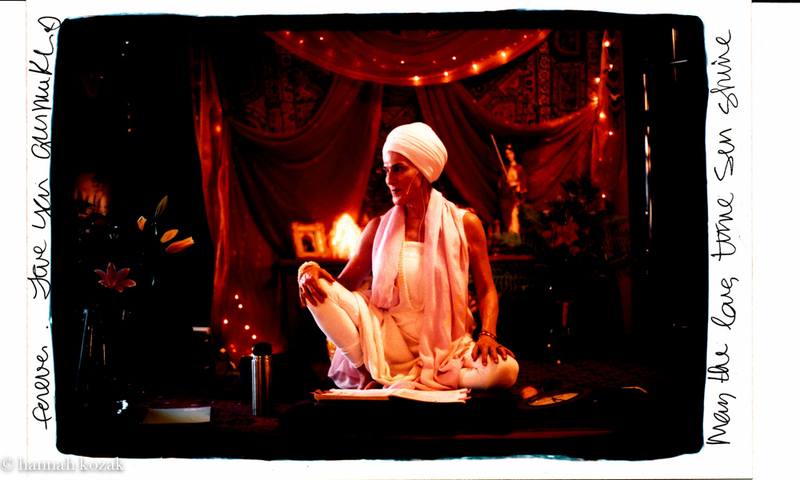 Here is a photo I made of Gurmukh at the first Golden Bridge Yoga in Los Angeles. 4 June 2004. 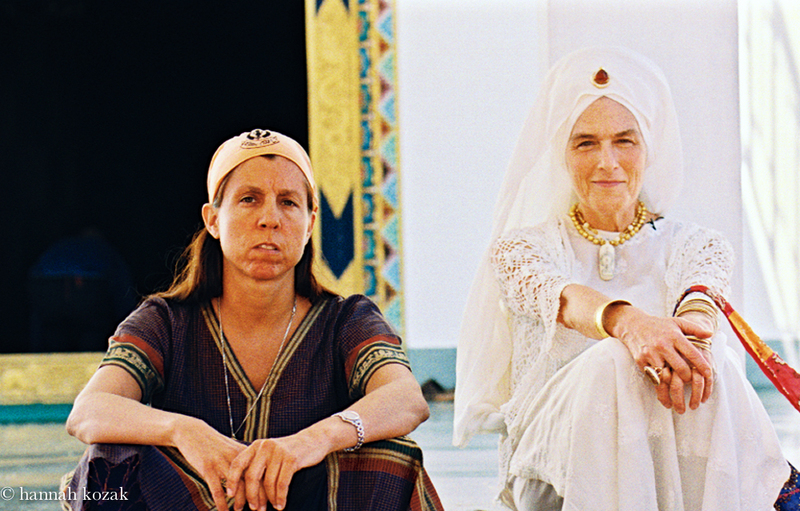 Here we are outside of Rishikesh, India, where I traveled with her on my first sojourn to India in March, 2006 where I discovered the true meaning of devotion. Four years later, I would begin a photo essay in Jerusalem, Israel inspired by the women in prayer at the Western Wall called Devotion. Ten years and six months later, on 2 November 2014, at Golden Bridge Yoga in Santa Monica. She seems ageless, as her beauty truly comes from within and not from external traits like hair, clothes or make-up. Gurmukh, like the lotus flower, is continually moving towards the light. Like the lotus flower, she has been to the muddy, yucky, dirty bottom of the pond but she has risen to beauty, to life. The lotus flower has become a symbol of awakening to the spiritual reality of life. Once it comes to the surface of the water, the lotus flower begins to blossom and turn into a beautiful flower. This is Gurmukh. AI-AP: Having the camera gave me protection and connection simultaneously.